A few things I get asked all the time… “How much time should I hire you for?” “How should we lay out the day so that we get the most out of our time with you?” “Do we need you all day or just part of the day?” These are all great questions and I am here to give you some tips on how to make the most out of the time with your photographer. The wedding photographer timeline is an extremely important part of your wedding. This timeline will lay out how the photos will go starting from when the photographer arrives, until the photographer ends their night. The best you can do is to make sure your photographer is willing to work to build you the best timeline they can. This means working with your planner or coordinator if there is one. Making sure that the events during your day lay out perfectly so they can capture the best photos they can. It isn’t just making sure there is enough time for particular shots, but that they happen at the best times of the day for photos, in the best locations your wedding allows for. When planning your wedding and deciding when to have your ceremony, reception, and other major wedding events I always suggest that you think about the light. Take into consideration what time sunset or sunrise will happen. Lets say the sun sets at 5:30 and you two don’t want to see each other prior to your ceremony. This means almost all of your bridal party and family photos will have to happen after the ceremony ends. If you want gorgeous beautifully lit outside photos, make sure you buffer enough time after the ceremony ends to get these taken. Or, consider a first look. Get as many portraits done prior to the ceremony as possible if your ceremony falls closer to dark or after dark. This is something you want to make sure you do. Being slightly late getting your hair and makeup done can push you over allotted time for everything else. Make sure you allow plenty of time so you don’t have to worry about this happening. Communicate with your hair and makeup artist. This way they know what time they must be done by and can help you plan out when to start getting ready. This is one of the best things you can do for yourself when planning a wedding. A wedding planner or coordinator can help you to take the pressure off of you and your family on the day of the wedding. Instead of having family and friends try and get there earlier to make sure things are set up, the coordinator will make sure everything is where its suppose to be. This way your friends and family can be present with you during your big day, ensuring that they are a part of all the photos all day long. A coordinator or planner can also help you find vendors that will work best with your budget. They also know great ways to cut back money wise, without sacrificing the vendors that are most important to you. This is HUGE! I always suggest really getting to know your wedding photographer before the big day. Actually, before you even hire them. Let them take you for coffee or a drink and just hang out. Make sure your personalities click well. Your photographer is going to be with you during your whole day. They are the one person (or two) who will be by your side the entire time. Once you hire them, keep in touch. As photographers we are constantly working to make sure your day is perfect. Even months before your day happens. We are communicating with your planners, and making sure your day goes as smoothly as possible. If you have questions regarding the planning process or how photos will happen on the day of, ask! 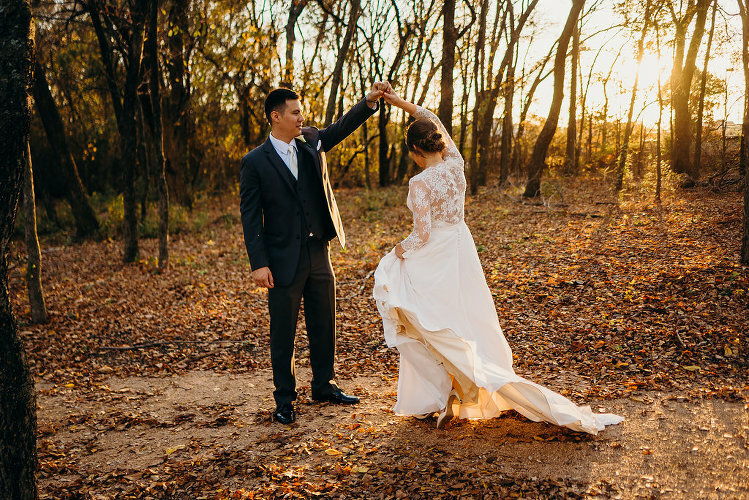 If you need suggestions on vendors, suggestions for day of portrait locations, or just someone to chat with about your wedding… we are your people! We love to talk wedding, and love giving all the advice we can to help make your wedding day perfect. Enjoy part of, if not all of your cocktail hour with guests. The cocktail hour is typically the time when I take the bride and groom portraits, the full bridal party portraits, and the family photos. This typically takes up a good hour of time, leaving you no time to mingle with guests before the reception starts. 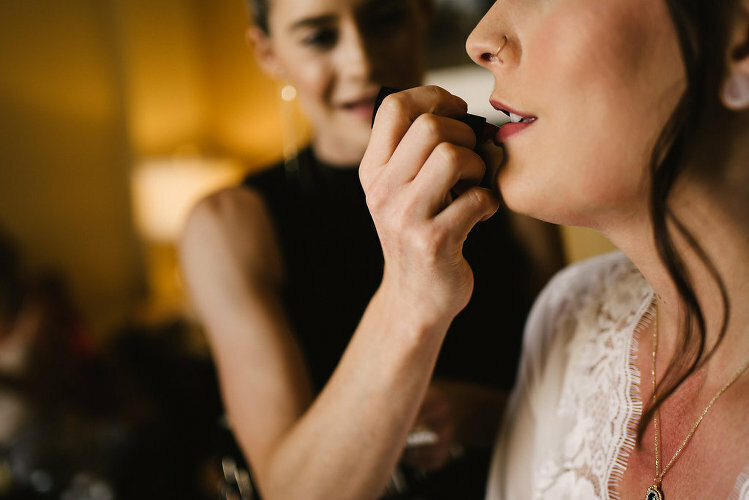 Doing a first look can help to give you at least a good 20-30 minutes or so where you can go enjoy a cocktail and chat with the guests that you wanted to be there on the most important day of your life. It gives you more time for portraits. This is the best thing about a first look. Once you two have your incredibly romantic moment together during a first look, you now can make portraits happen whenever, wherever. Typically when a couple of mine does a first look I get almost all portraits done prior to the ceremony. Minus maybe a few portraits at golden hour of the couple. I will do all family photos about an hour before the ceremony starts. That way we can tuck the couple away half hour before so arriving guests don’t see them. Get the full bridal party photos done before that, and even do a few bride and groom portraits at the time of the first look. 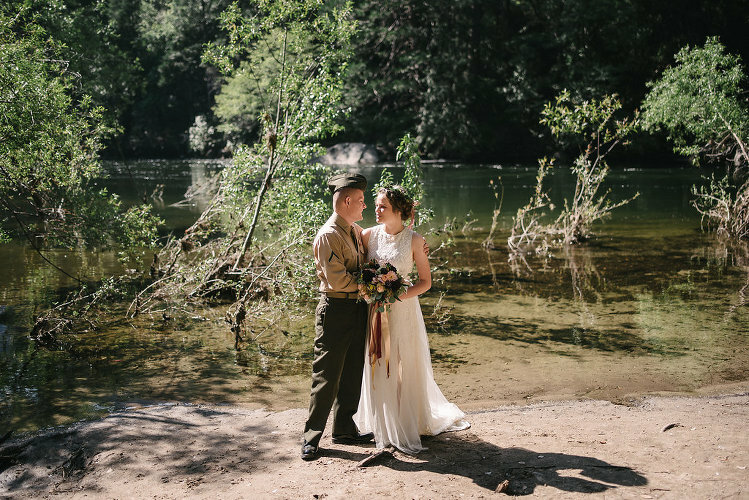 A lot of my couples have said that doing their first look really helped to calm them before the ceremony. They were able to spend time with each other and relax their nerves before saying their vows in front of a hundred guests. Now, the huge concern I hear about first looks… Is will their partner have a reaction to them walking down the aisle? The answer is, YES. Even though you might have already seen each other. Every couple I have spoken with who had a first look stated that did not change the way they felt as they watched their partner walk down that aisle to them. That its a totally different moment and feeling. So every photographer who shoots weddings will more than likely require that you feed them during the wedding at some point. Typically, it is expected that you feed them the same meal you are feeding your guests. Adding them to the guest count for your caterer is the best thing you can do to ensure they get a hot meal at your wedding. Now that we have established that feeding your photographer is standard… when should they eat? This is crucial to your wedding timeline. Many venues or caterers will suggest that the photographers wait until all of your guests get their meal before they do. While this is not a problem for us, it is a problem for your wedding. Reception timelines are often pretty jam packed with events. The entrance, the first dance, dinner, the toasts, the cake cutting, and so on. Your photographers will want to make sure they can capture it all. Eating at the same time the bridal party at the beginning of dinner is key. This will help them not to miss any important events that happen during dinner. The toasts often happen about 30-45 min into dinner. Make sure you plan accordingly so your photographer doesn’t miss a thing! When you are hiring your photographer I always tell people to hire someone who’s work you love. Someone who is experienced and knows how to handle a fast paced wedding day. Someone who can shoot in all lighting situations no problem. Even if you can only afford to hire them for partial day coverage. For any wedding with more than 50-75 guests or a larger bridal party, I usually recommend a full 8 hours to really have the story of your wedding day captured from start to finish. However, it is completely doable to tell your story with less hours. Especially if there are two photographers. It is always better to hire someone experienced with work you love for less hours. Rather than someone who isn’t as experienced or who doesn’t have work you love for more hours. Yes getting 10 hours of wedding coverage for 2500.0o might seem like an amazing deal. But chances are they don’t have the same experience, style, or skill level as those charging 6000.00 for the same coverage. Your photos are the one thing you are left with to look back on your wedding day. Make sure who you choose to capture it can give you photos you will be beyond happy with. It is a worthwhile investment. The last thing you want is to receive photos you are unhappy with after spending thousands of dollars towards them. So how is it that partial day coverage can still work ok? This is all about the timeline. A good photographer will be able to work with 5 hours, and make the most of it. They will help you lay out your day so that you can get as much covered in a little amount of time. This might mean doing a first look, or cutting out some of the getting ready photos, or not staying til the end. But this doesn’t mean you won’t capture the best parts of your wedding day. A Sample of how I might lay out a 5 hour day. For me, a “5 hour coverage day” means more like 5.5-6 hours of me being there. And with shorter hours, I almost always recommend a first look so you aren’t rushing too much for portraits. For those of you wondering what a mock exit is… It is basically doing the exit of your choosing before your night actually ends. About 90% of my couples that have an “exit” planned, actually do their exit before the night ends. Its great for a few reasons. 1. We can still capture it, no matter how long we are set to shoot for. This is amazing if you are doing partial day coverage. You still get your exit covered, even if we have to leave half way through your reception. 2. When your exit is done earlier in the night, more people can be a part of it. This is also a plus. Lets say you have your reception hall until midnight. That you planned your sparkler exit for 11:30. Chances are that some guests will leave before your exit. For a good sparkler exit, you want the most people possible. Sometimes an earlier “mock exit” helps with that. And I promise, no one will complain about going back inside and partying more. 3. Partying it up! Sometimes it can be too much for your exit. So many times we get to the end of the night and guests are a little more than tipsy. They have partied their hearts out all night long and are ready to finish up the night with the exit. While this can be so much fun for the guests, it can make it extremely hard to coordinate any sort of exit. Much less one that involves lighting sparklers with fire. I have seen guests nearly light a brides hair on fire goofing around. Almost light themselves on fire… And even just be a little too sloshy to get the guests to listen up to make the exit happen. Sometimes just doing the exit a few hours into the night instead of at the very end can make all of the difference.